Queen Elisabeth II. waves from the balcony of the Römer, Frankfurt’s historic city hall. The British Royal couple visited the city on a day trip that also included a stop at St. Paul’s Church – considered the birthplace of German parliamentary democracy. 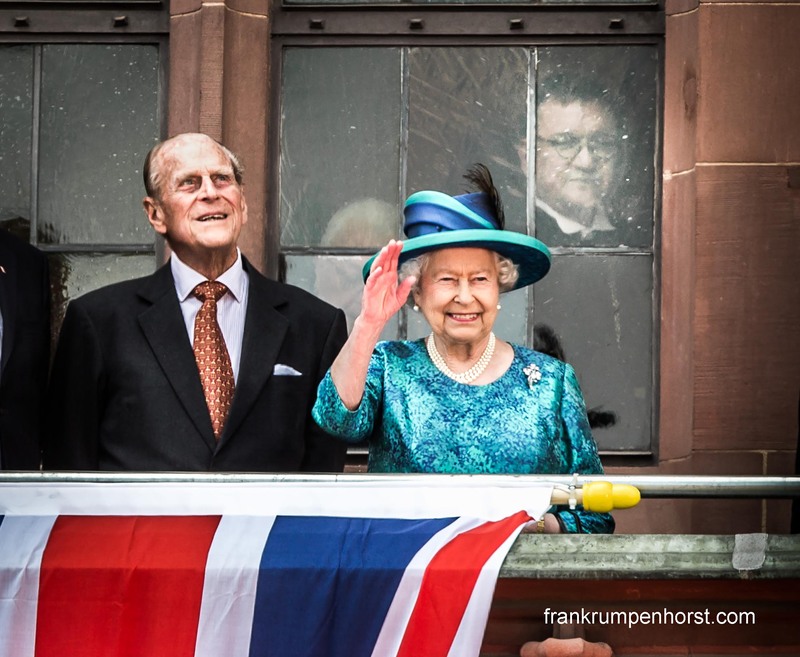 This entry was posted in britain, duke of edinburgh, Elisabeth, germany, philip, Photo, Photography, queen, royal couple and tagged balcony, elisabeth, philip, queen, römer, visit. Bookmark the permalink. The Queen in Frankfurt, tomorrow.